This article came across my facebook feed, posted by a certain former national team coach. The implications were obvious, there were lessons to learn. What lessons though, each person reading the article would come away with key points. I'll share the points that resonated with me, feel free to do the same using the FB comments below. 1. The champion in this story, the person credited with the start of the change, was a Finnish coach, Erkka Westerlund. Formerly the national team coach, he had previously coached for 12 years at four different clubs in the top tier of Finnish hockey. A few names jumped out at me when looking for potential champions of Canadian rugby with similar credentials, John MacMillan, Francois Ratier, John Tait. In 2009, the Finnish Ice Hockey Association (FIHA) convened a summit with all of the country’s key ice hockey personnel, hosted at the Vierumäki Sports Institute (mainly owned by the FIHA). Coaches, agents, scouts, team leaders, general managers, and others were all invited for what was essentially a brainstorm to revise their strategy on player development. The main force behind this meeting was Erkka Westerlund, the head coach of the Finnish national team for two stints between 2004 and 2014, and the coach of Finland’s KHL team, Jokerit, for the past two seasons. "It was Westerlund's idea that you'd have to start with the young players; by focusing on individual skill, to make sure the coaches supported the young players, and covered every possible area," explained Mr. Pekka Jalonen of Iltalehti, one of the biggest news papers in Finland. "It was also important to teach them how to eat, to train responsibly (that includes to rest) ... in short how to be a professional athlete with responsibilities, and not to waste your natural talent. It sounded very good to all parties involved and it was agreed to follow the path that Westerlund had pointed out." 2. It was a large infusion of money that made the plan possible. In this case it was the 2012 World Championship in Helsinki, the money was invested in youth development. On a smaller scale it's not too dissimilar to the start of the CCSD/Pacific Pride program which was funded from the Commonwealth Games in Victoria. Currently the largest rugby money maker in Canada is probably the Vancouver 7s at BC Place. The move to commence the program was an important step, but the biggest boost was really after the 2012 World Championship that was hosted in Helsinki. The tournament netted a profit of €8.2 million, and that money was invested back into the youth development program. 3. This all happened in an environment that had a domestic professional pathway. The Finnish Liiga is not the top pro hockey league in Europe but it is a pro league, the dream of getting paid to play is important to keep young players interested. You can read more about the Finnish change from Amateur to Professional leagues in the 70s. It's difficult to see this replicated without a professional pathway in place. Mr. Tommi Hämäläinen, of Helsingfors IFK, points to another factor that might have sped up the development of young Finnish talent: the fact that the increased economic powers of other leagues in Europe — the KHL, SHL and NLA especially — has forced the Finnish teams to skip out on signing expensive foreign players. This has led to more need to develop players internally, and increased chances for young players to start playing professionally earlier. 4. Full time coaches were hired for all the national age-grade teams. While the teams were only together for about 40 days, the coach spent the other 320 days in development activities. A great idea but again comes back to an infusion of money and the professional structure to manage the coaches. Also the Finnish Hockey Association gave €30K to 25 of the top clubs to hire skill coaches focused on youth in the area. It would be the equivalent of Rugby Canada giving the pro teams in Victoria, Vancouver, Edmonton, Calgary... Toronto, Hamilton, Montreal... Halifax... $50K to hire skill coaches focused on youth. Rugby Canada can't manage their own budget without adding a registration tax for the senior team, let alone give $50K to pro teams that don't exist yet. Best we have are provincial unions that are funded by player registration. Mr. Timo Backman, sports director for FIHA, explains that "one of the first things we did after the meeting in 2009 was to hire full-time coaches for all the boys’ national teams. Previously we had never really had any full-time coaches for these teams, only for the senior national team. "Why did we need full-time coaches when the team is only together about 40 days a year? What should the coach do the other 320 days?" Because now the national team coach is more involved in developing players. "After a camp or a tournament the coach goes on the road and visits each and every club that had players present. He sits down with the player and the coach of their [league] team in order to work out together how the player did, and what to work on and develop before the next tournament." In 2013, they used those funds [from 2012 World Hockey Championship] to give a stipend to the top clubs in Finland to hire 25 skills coaches that work with players between 10 and 14 years of age. The clubs are required to pay the salaries, but FIHA gives every club the basic rate (approximately €30,000 per year), for an annual cost close to €750,000. If the clubs want to augment that, such as providing travel costs, phones, etc., they are allowed to do so. This also forms an umbrella system, as every club that gets this additional coach's help must 'share' the coach with even the smallest teams in the area. 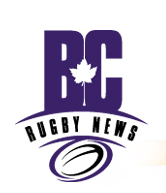 In my mind it comes down to Rugby in the country generating more revenue, we need a professional mindset that generates revenue in a business model, not a taxation model that Rugby Canada and the provincial unions have in place. The Finnish story had a champion who knew and understood the Finnish system having coached the national team and at the professional club level in Finland. There was a large infusion of money generated from a World Hockey event, that money was channeled to youth rugby, managed through professional clubs. The national age-grade teams had full time paid coaches who spent the majority of their time in development work.